Entries with tag coastal . The "7th Advanced Training Course on Land Remote Sensing" has just concluded and we had the opportunity to join with the participants at the Szent István University, Gödöllő, Hungary. The course was attended by more than 70 students from both academic and industrial sectors, representing more than 30 different countries. During the event a practical class on "Cloud Computing and the ESA Exploitation Platforms" was provided for the students and we had the opportunity to explain the challenges that the TEPs have faced and to give them the opportunity to experiment for themselves with the beta versions of the platforms, currently in pre-operations. The students expressed interest in the usage of the TEPs for their research objectives and have now been invited to submit proposals to become early adopters and benefit from the expansion of the TEP user community. The next opportunity to meet the TEP experts will be at the ESA EO Open Science where there will also be the possibility to join "hands on sessions" with each TEP. The Coastal Thematic Exploitation Platform (C-TEP) has now entered the pre-operations phase.The existing pilot projects will be focused on exploitation of the Earth Observation data to generate and analyze indicators for aquaculture, water quality, integration of tools for information extraction from Earth Online data archives and altimetry analysis. The C-TEP is currently inviting applications from the users interested in testing of the platforms capabilities and/or developing other relevant pilot projects. If you are interested in testing the platform or taking part in validation activity, please contact and/or view. A new service harnesses three decades of satellite observations of coastal zones made available through a cloud-based system to provide a rich information source for fisheries, one of our fastest growing sources of food. 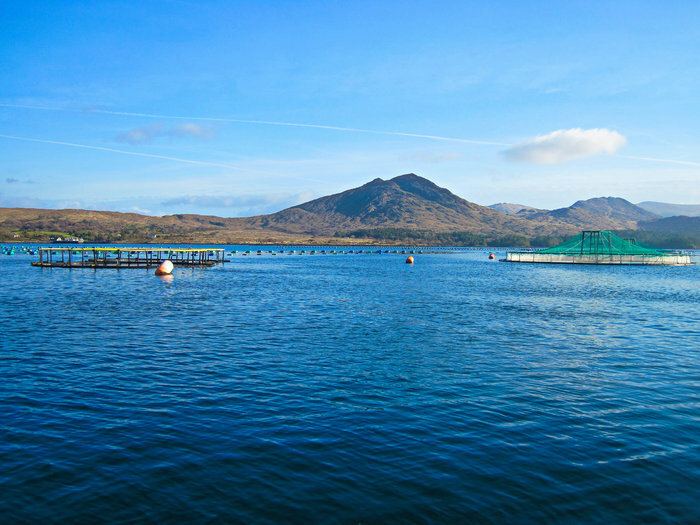 SAFI (Supporting our Aquaculture and Fisheries Industries) is a prototype information service supported by the EU’s Seventh Framework Programme. It uses Earth observation data to support the fishing industry. Ensuring ease of use, SAFI accesses the powerful capabilities of the ESA-backed Coastal Thematic Exploitation Platform (C-TEP), a cloud-based ‘one-stop shop’ that gathers coastal-zone satellite data, processing algorithms and computing power. [...] Read full article here. The CTEP is one of six ‘Thematic Exploitation Platforms’ (TEPs)' being developed by ESA in the frame of the Earth Observation ground segment evolution strategy. The TEPs aim at fostering the exploitation of EO data by providing an online environment for users to access information, ICT resources, and tools. The TEPs are contributing to the creation of an European EO data ecosystem for research and business, one of the overarching objectives of ESA Earth Observation Envelope Programme. Coastal, Forestry, Geohazards, Hydrology and Urban TEPS presented updates on their activities at EO Open Science 2016. This paper attempts to provide some best practices for the design of Earth Observation (EO) data exploitation services, collected from the observation of successful realization and trends. On-line exploitation, in particular through dedicated thematic platforms, is considered a key concept to allow common users to harness the power of Big Data in Earth Observation. This presentation will summarise the status of the TEP architecture, discussing the lesson learnt from the single TEP projects and the current Exploitation Platform Open Architecture draft. It will also present the status of the standardization work of the Exploitation Platform interfaces, performed in close connection with the HMA working group and the plans for the evolution of the Exploitation Platforms harmonization activity. The F-TEP services cater for users with varying familiarity with EO data and processing. Each user group is supported by providing an interface that they feel comfortable working with, and which helps them to achieve their goals for forestry data products with ease. As users grow with expertise and confidence and want to pursue more complex tasks, they can proceed to unlock new functionalities. With this model, F-TEP can act as a learning platform as well. Urban TEP aims to promote new opportunities to enable the creation and safeguarding of liveable cities.